The general objective of EU4SportsClusters Alliance is to implement and test within 24 months a Joint Internationalization Strategy for a European Strategic Sport Clusters Partnership (ESSCP), maximizing the potential of its cross-sectoral nature, developing new value chains and exploiting international opportunities for SMEs, especially those in third markets outside the EU. 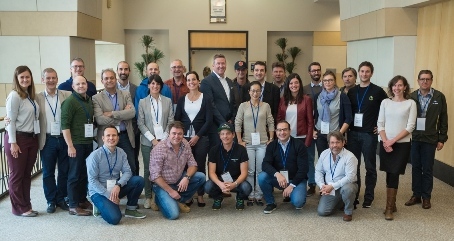 The ESSCP consists of 4 Sports Clusters (INDESCAT, Sport and Technology, Flanders’ Bike Valley and Cluster Montagne) and EPSI, from 4 countries (Belgium, France, Netherlands and Spain), and proposes an innovative approach to exploit the cross-sectoral nature of the sports industry and brings a new vision to the industry. IRAN. 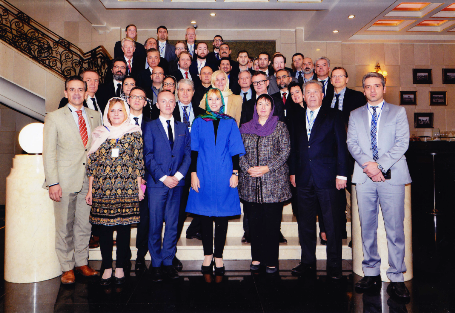 After the matchmaking event with the EU Commission, EU4SportClusters Alliance organized a session explaining the possibilities on exporting or investing in Iran. 12 different companies and organizations attended the session to learn about the peculiarities and opportunities that this emerging market offers for sport as a result of its recent opening. From the trip the Iranian national tourist agency contacted us in order to explore their possibilities on promoting Iran. We passed the contact to the Catalan tourist board. One of INDESCAT members, BUFF, made a trip a month later and visited some of the contacts that we did during the trip, such as the Outdoors sport association or the ski resort Tochal, and even contracted the translator that we had during the visit. As part of the project activities, we carried out a market study on the sports industry in Iran. Just this week we received the report, which will be shared with the companies. Even though we will not go on a trade mission within the project scope, all the clusters agreed that it will be an excellent opportunity to have more information for a future mission. Sessions on EU funding. 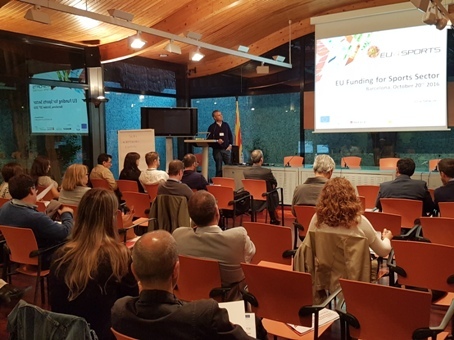 More than 150 companies participated in 4 differents sessions (in Catalonia, France, the Netherlands and Belgium), in which we presented a guide on EU funding for the sports sector. This guide includeed real examples on sports projects already funded and is a tool to identify which programs meet the companies needs. Trade mission to China. 14 different EU companies took part in this mission in February 2017, which was highly ranked by them. As a consequence of our agenda in Beijing, INDESCAT received in September 2017 in Barcelona a delegation of the Chinese delegation of SEAC (Sport Equipment Administrative Centre), with whom we have signed a Memorandum of Understanding, representing the whole consortium. They wanted to learn how the sports industry worked in Catalonia and met again the companies that were part of the mission in order to get a deep knowledge on them and possible future collaborations. 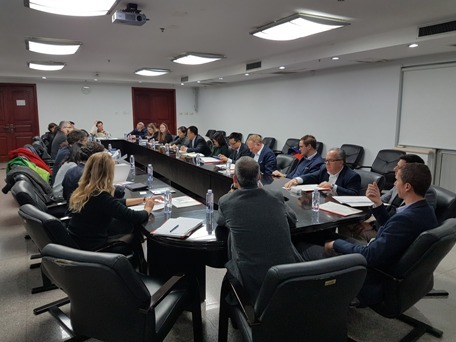 Also in September Flanders' Bike Valley received a delegation of the Chinese Jiangsu Bike Association, including around 20 companies and governmental organizations. To describe just a success story of the project, an export group on the football segment has been created, aimed to continue exploring the Chinese market and expand the business of the 3 companies that are part of it, who took part in the mission. It will be described below. One of them is Kaptiva Sports, a Catalan company that is part of the INDESCAT board. Other Catalan companies that were part of the mission, such as Idom, continues targeting the Chinese market. They returned to China for 2 weeks in September with a specific agenda to explore other areas in the Chinese country. They also have signed an agreement to join forces with a local organization to apply to a tender aimed to build sports facilities. This company joined INDESCAT just after the mission since they check the added value of being in a cluster. The same happened with Agrupació Barça Jugadors, an association of former FCB players. Another Catalan organization, Play and Train, is working on bringing this winter professionals from a Chinese Mountain Resort to the Catalan ski resort La Molina, in order to organize an educational program to coach them to manage ski activities with sports practitioners with disabilities. 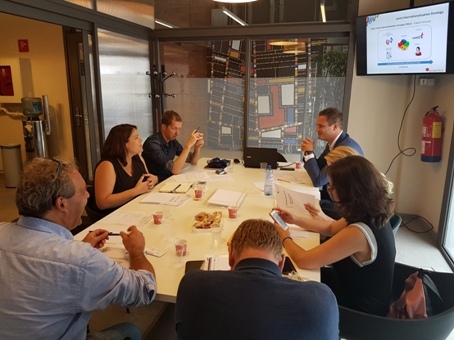 We are still monitoring the final results of the mission together with the rest project partners. Trade mission to USA. 16 different European companies took part in this mission carried out in September 2017, being 5 of them Catalan. We visited Ogden, in the state of Utah, because they are a pool of attraction of outdoor sports industry. We also visited Interbike, the most important trade show on the bike segment in the world. We are still monitoring its results, but they are really promising. Just to mention a couple of them, we signed a charter of cooperation with the mayor of the City of Ogden, and one of the companies, Skitude, has signed a contract with an important American sky resort: Powder Mountain. They even are planning to settle down in Ogden, since they have discovered an open market for them. We are trying to work out 2 possible export groups, one of the outdoor industry and another one more specific in ski. Next week, we will meet with the companies and explore the possibilities. Football export group. 3 companies: 2 Dutch (GP Systems and Dotcomsports) and 1 Catalan (Kaptiva Sports) have made a football export group. The group was born in the Chinese mission and they have been working since then, just after its kick off in Barcelona. INDESCAT is the promoter of this group, who subcontracted an export manager to tackle China again. They presented a well structured resume on the football in China and the companies decided that wanted to learn how the government invests and promotes football. In December they are going to China to have different business meetings in Nanjing (where they will meet the Department of Football, Culture, Sport and Health Bureau, Education General Administration of Jiangsu Province), Hangzhou and Beijing, where they will meet the 1st division team Beijing Sinobo Guoan F.C. They will have some very interesting meetings and so far are very pleased. Their aim is introducing Kaptiva's training methodology within the Dotcom selling software. Moreover, Kaptiva has an well established office in Miami and is sharing the American experience with the rest of the group. For more information please visit the EU4SportClusters Alliance or contact Cristina Naches at cnaches@indescat.org.